Works great for me! Friendly workers. I rent one large unit. Outstanding Customer Service! Josh & Reid are great! Highly recommend this facilty! Thank you for the great review Linda! 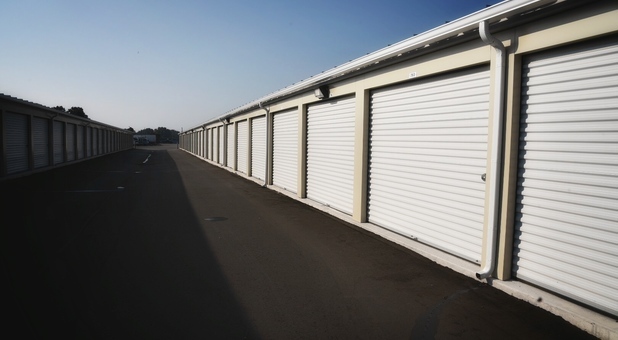 We strive to be the best self-storage facility in Brighton. We look forward to continuing to serve all of your storage needs! I was there on 6/2/2018 and the guys in the office were great!!! Super friendly and helpful. Thank you for the great review Bonnie! We strive to be the best self-storage facility in Brighton. We look forward to continuing to serve all of your storage needs! Great sales staff. Had packing supplies and U-Haul trucks for our convenience. I also rent a lot of U-haul's from U-Store Brighton. Carol and Josh always give me great service. I now have 12 unit with U-Store Brighton for my business needs. Thank you for the great review Rob! We strive to be the best self-storage facility in Brighton. We look forward to continuing to serve all of your storage needs! Josh was very helpful, polite and professional. If your looking for a storage unit, come to U-Store in Brighton. Highly recommend! Thank you for the great review John! We strive to be the best self-storage facility in Brighton. We look forward to continuing to serve all of your storage needs! Fair price, excellent customer service! Thank you Steve! We strive to be the best self-storage facility in Brighton. We look forward to continuing to serve all of your storage needs! Thank you for the great review! We strive to be the best self-storage facility in Brighton. We look forward to continuing to serve all of your storage needs! Thank you Leonard! We strive to be the best self-storage facility in Brighton. We look forward to continuing to serve all of your storage needs! U-Store has clean new units. We were lucky enough to get a space in the new building . The people in the office were very helpful with answering all of my storage questions. I even rented one of their U-Haul trucks to get my load transferred into my storage unit in just one trip! I will be recommending this place to my friends and family. Awesome customers service and Security. Awesome customer service, Carol is her name, always smiling and very welcoming personality. Also another employee he is fairly new, extremely nice and welcoming personality too.